The annual night/day/cycle rogaine is back in Wingello this year. The course is characterised by plantation pine in the center of the map surrounded by native forest extending into Morton National Park where rocky cliffs and spectacular views abound. 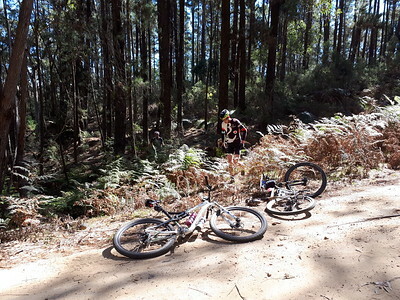 There is a large network of good quality mountain-biking trails across parts of the course. Terrain varies from moderately undulating (but mostly easy travel) in pine areas to increasingly steep in the areas of native vegetation. The MTB singletrack is similarly variable, consisting of many flowing loops interspersed with technical rocky sections - this can be just as enjoyable on foot as on two wheels! There is ample parking and camping space at the HH, but no facilities, so please BYO camping gear etc. Meals will be available at the end of each of the events, and because we want you to stay safe and well(fed) we have factored in a modest cost for breakfast on Sunday morning by confirmed pre-order with your entry. Teams are welcome to enter for either night (foot) and/or day (foot or bike) events, but these will be treated as separate events. If entering both events, you will need to submit two entries, one for each event. We are offering 50% discount on the second event, however our event system can't automatically apply that, so please pay the total owing against your first entry and make a note on the second indicating that.